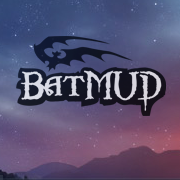 Founded in 1990, BatMUD is the leading LPMUD on the Internet. A fantasy/medieval themed, lasting experience with an incredibly rich Realm. Also offers a highly customizable game client. Play for free w/ hundreds of others on-line. Constantly developed. Graphical web and iPhone apps set apart this intelligent hack'n'slash loot fest. Random & randomized loot, custom quest system. Based on the original zones of AnotherWorld. Hunt for artifacts, solve puzzles, take down tough bosses. 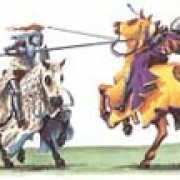 Un MUD basado en la Rueda del Tiempo de Robert Jordan, así como en el juego de rol de dicha novela. Juego y Web accesibles para invidentes. Cayo Agua is a Classic World of Darkness game set within the Florida keys. The theme is one of supernatural horror. Truly they are the lesser of two evils as they stand between mankind against creatures far worse than themselves. This consent based game consists of three cities each with its own troubles allowing for players to easily run their own stories which effects the game's world. In all the various game lines we have made the decisions that all those who hold official positions on the main grid are NPCs. This allows players to focus on the group dynamics of Cabals, Coteries, & Packs. Of course any player seeking their own domain is free to carve out their own territory either in the wild or the nearby suburbs with the added thrill of watching it grow under their leadership. Regardless of sphere getting a character is simple. Log in to the game and check out the news files and send staff your stats. Within 24 hours your character will be set up and ready for play. Character transfers are welcomed. Sub spheres: of Psychic and Sorcerer are available. Classic 6Dragons is a free text based game, based on the 6Dragons codebase. This game's dragons are as they were intended to be... Powerful, awe-inspiring and just incredible FUN to play! Some Features Include: Accessibility, 6 Dragons has a soundpack and setting for the seeing impaired. Custom Tradeskills: don't like hack n slash, be a blacksmith, jeweler, baker, or trader. Wilderness that is difficult to get lost in, due to landmark code. Custom City Siege code, where you can laysiege to other cities. Custom Quest Journal no questmaster cookie cutter code, our quest code is unique. 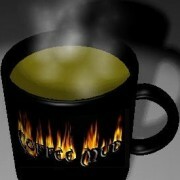 Come see what we're brewing up at the home mud for the CoffeeMud code base. Play in all those old areas in new and twisted ways. You'll be glad you peeked! 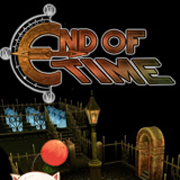 A 100% free ROM-based MUD whose theme is primarily Final Fantasy and Chrono Trigger / Chrono Cross. It is a highly modified, customized game with a strong emphasis on character customization, well-built areas, and a fun atmosphere. Heroes of the Lance 3 is a Dragonlance, Forgotten realms based mud with 100+ unique classes, skills, questing, heart thumping war and fusion/generation systems. You choose the skills according to how much your brain can hold, and the class will be assigned to you. The leveling system extends to 50, and upon there, you gain the ability to fusion/mate with another player and go on to the next generation (more powerful), being something you have never been before. This makes for endless replaying and customizing through a dynamic gene pool. Note: This is NOT remort. During fusion any of the other players limbs and/or genes can be transferred to you and vice versa, but be careful, genes can also be lost. With the exception of standard weapon attacks, combat and spell casting time is not randomised, you employ full control of when you cast the next spell or strike the next hit through our action point system. Try us out to see it in action. 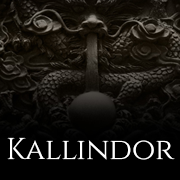 Built upon the remains of the classic games Myrradel and Alhazi Invasion, a new land called Kallindor rises from their ashes. We offer an environment ripe for adventure with over 100 original areas, 18 races, 5 base classes, and an additional 16 subclasses (chosen at level 30 of 60) to choose from with literally hundreds of new and unique skills and spells.